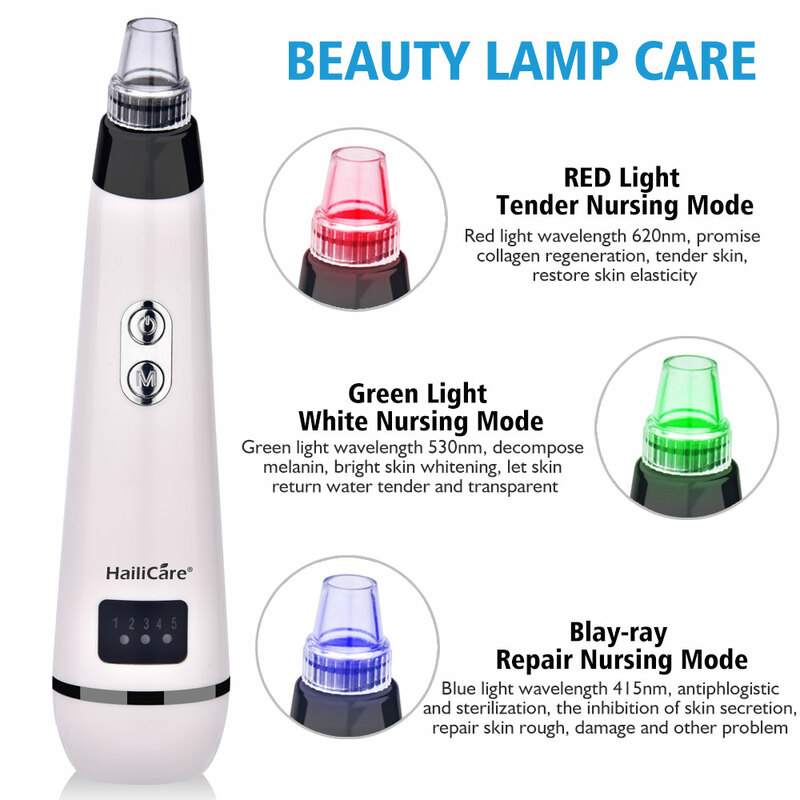 This product is a collection of beauty, tightening skin, clean pore, removal the ance and the blackhead and any other functon of the beauty equipment.it use the " technologe of the vacuum suction lift v face '' to lift the skin masage, it can increase skin permeability,Promote skin's absorption of beauty fluids,Make skin more elastic and shine. 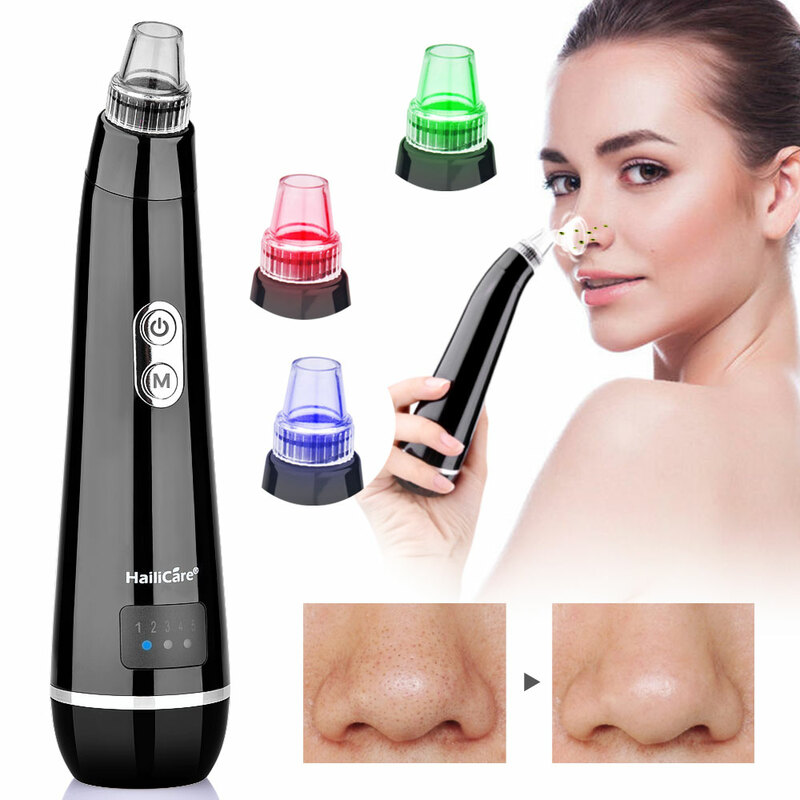 At the same time, the beauty light function of the instrument can also make the pores finer and the skin smoother. 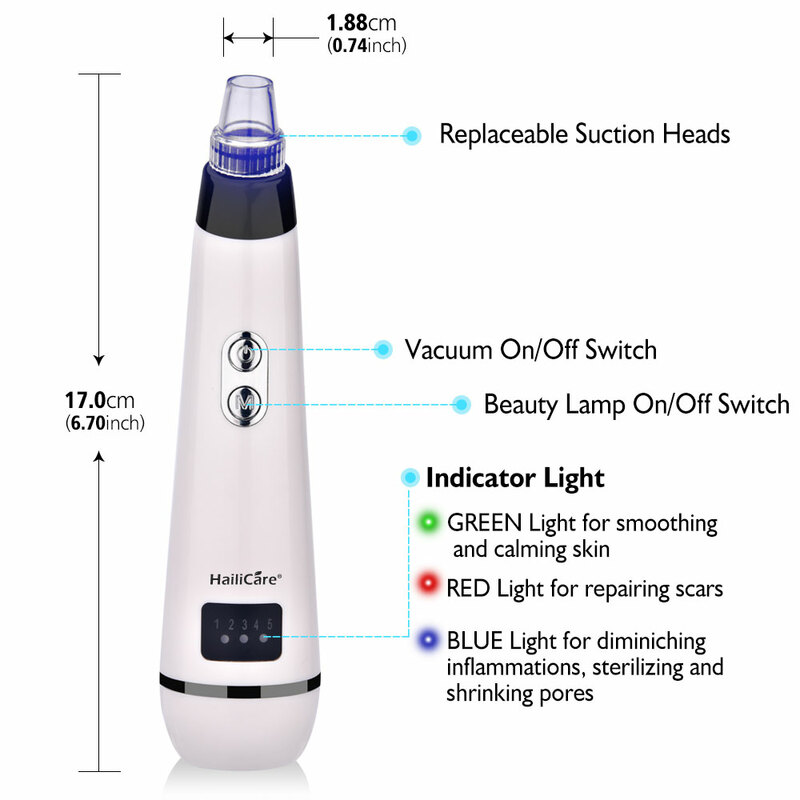 1.Adopt Vacuum Suction Technology, keep constant pressure between 40-60KPA, different from others, our blackhead remover is safe, non-toxic and harmless to your skin. 2.Deeply and effectively clean blackhead, needless oil secretion and pore garbage, make your skin free breathe and health, massage and brighten your face, then reduce fine lines. 4. 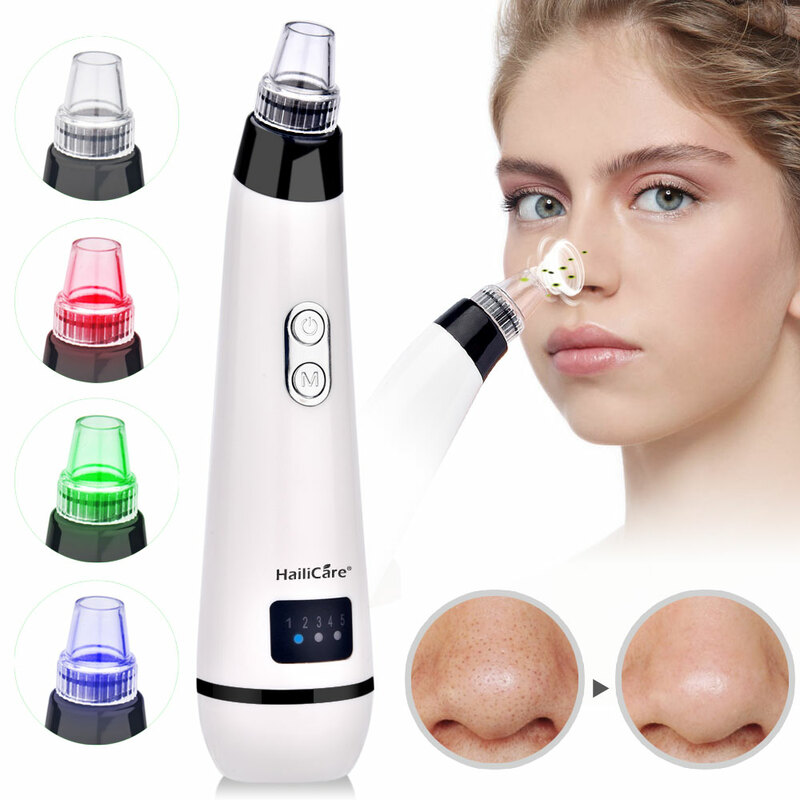 5 Strong Suction Levels and 5 Replaceable Suction Heads to remove the blackheads coarse pore, rough skin, dark skin, exfoliate dead skin and acne, and smooth your skin deeply and effectively. 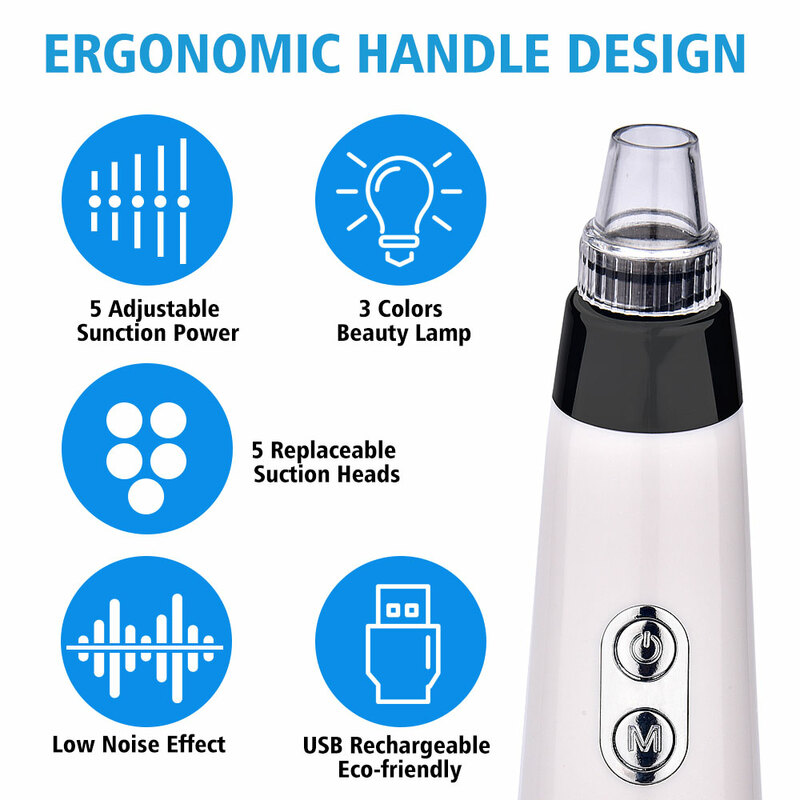 5.Compared with previous Comedo Suction, This blackhead remover can stand in washing room, bedroom etc, it’s very convenient to place and storage; With display function, you can easily know the power of suction. 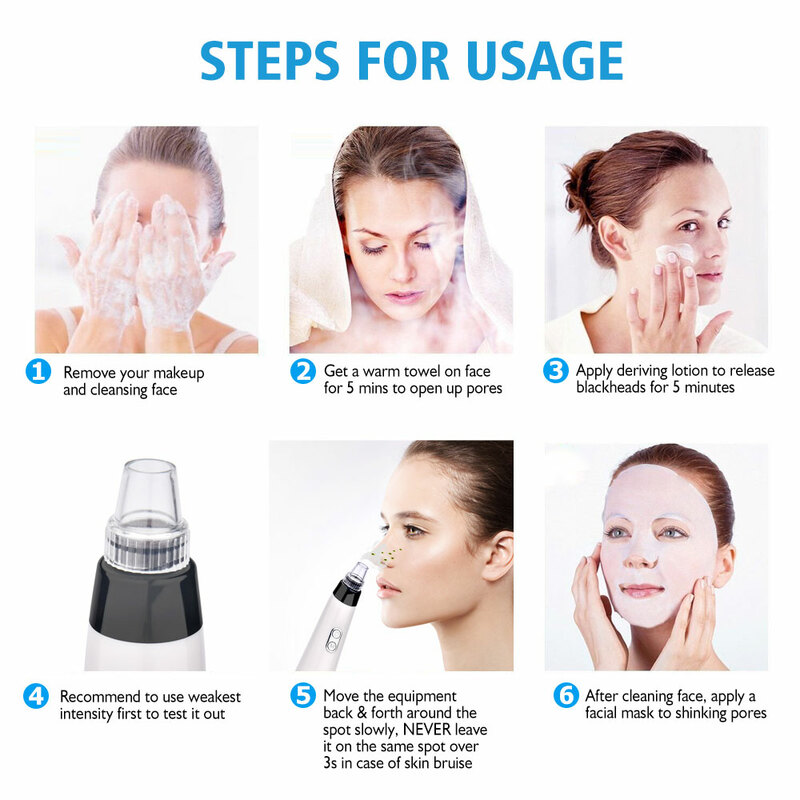 STEP 1: Clean your face, use the blackhead educe liquid or facial steamer to open the pore. 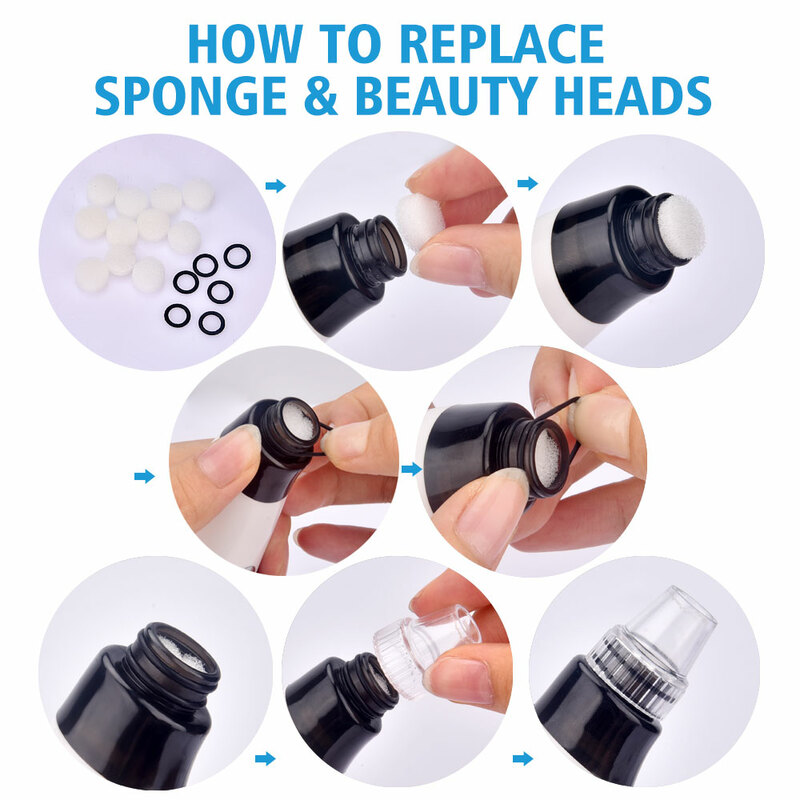 ✔ Please don't suction on the same area all the time, it will make the skin swell. 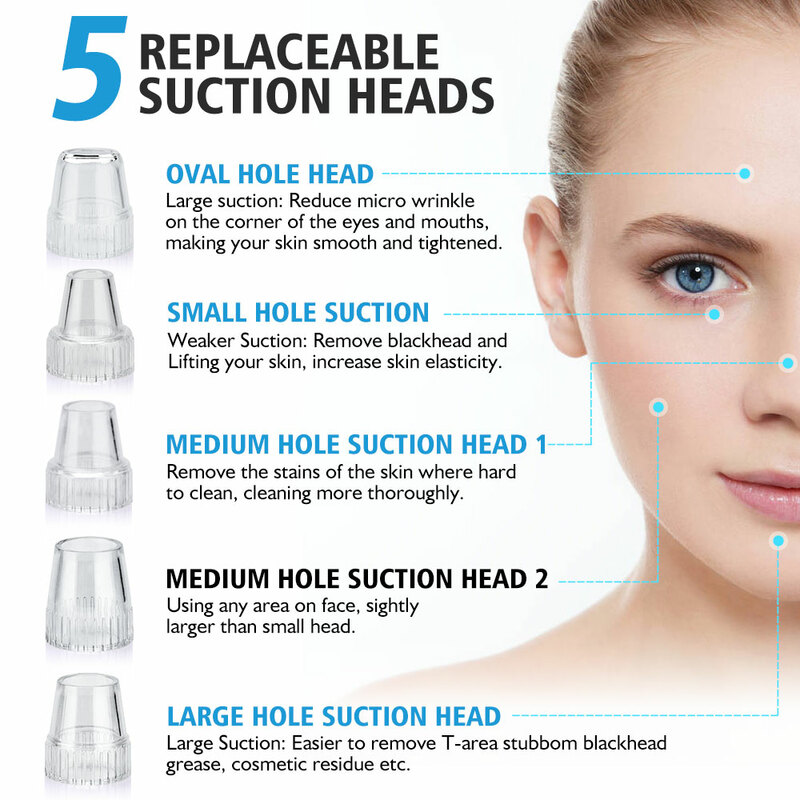 If the skin swells, stop using immediately. ✔ Before using the product, use hot steamer or hot towel or blackhead remover gel/cream on your skin for 5 minutes to completely open your pores first to ensure the best performance of the product.